I've been attempting to shape WAN traffic. So far I've successfully gotten results with downloads, but I cannot seem to limit uploads. I've tried more configurations than I can count, even so far as to just try to limit absolutely everything (which works for DL, not UL), so I'd like to see how to specifically limit all uploads to 500KBPS. 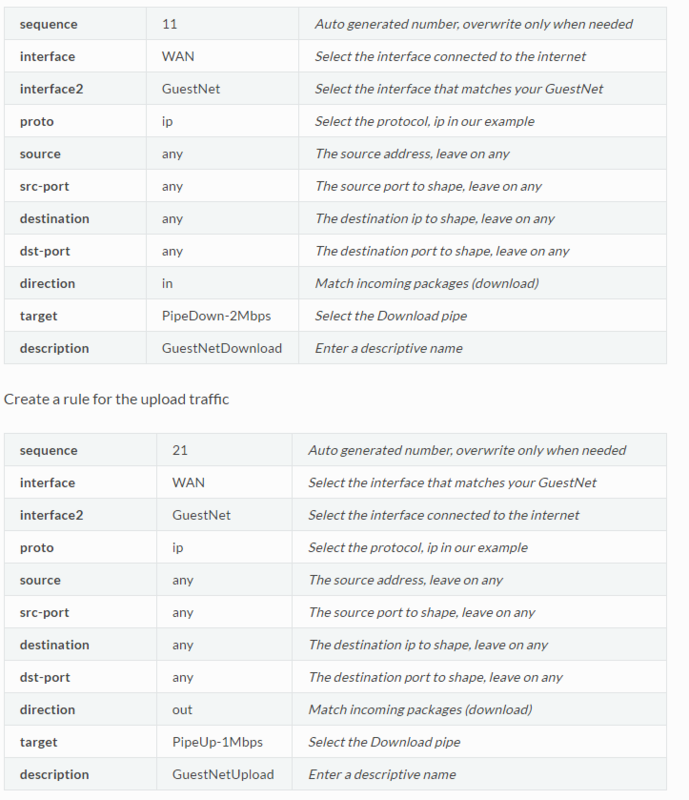 One note, some of the tables in the Traffic Shaping Setup Doc (https://docs.opnsense.org/manual/how-tos/shaper.html#share-bandwidth-evenly) seem to be wrong. For example, the "interface2" rows from the below tables. The description is wrong on the second table. This happens in other tables as well.